Here are handful of images, roughly one for each month, reflecting some of the adventures I had in the last year. Thanks to everyone who I have had the pleasure of working or playing with. I look forward to sharing more adventures with you in 2015! Aside from tons of photography 2014 was heavily dominated by the training and assessments on the British Mountain Guides scheme. I feel like I spent the whole winter in a blizzard in Scotland, working up to a test in March which saw me moving on to become an Aspirant Guide in June. This then meant I could work alongside another guide in all the Alpine disciplines, and thus I passed a busy summer of Alpine guiding in France and Switzerland. 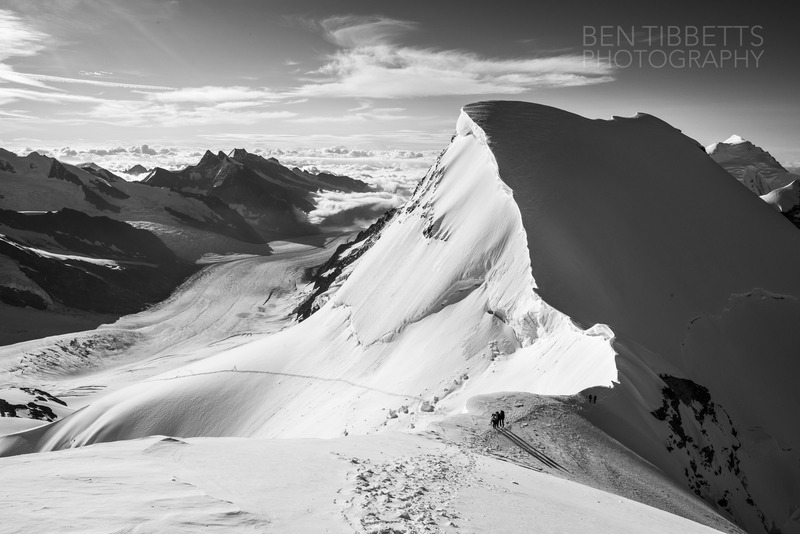 Check out my recently relaunched website at http://www.bentibbettsphotography.com for more images and keep up with Chamonix conditions etc. here: http://www.facebook.com/bentibbettspolarguiding. In February I took a midwinter break from Scotland and its joys to head back to Chamonix for a week of acclimatisation and skiing with friends. 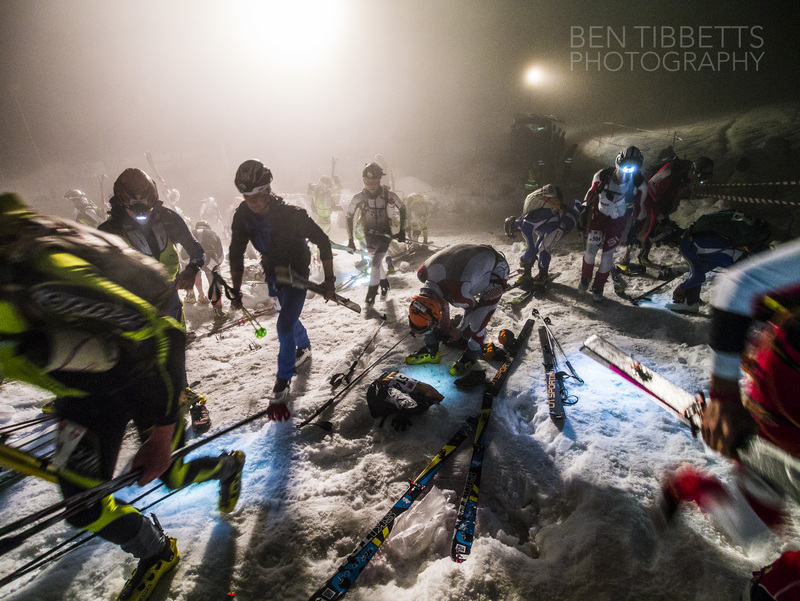 We then went to Andorra for the European Ski Mountaineering Championships where us Brits got crushed by the Euro wads! In the preceding week however we managed to cram in several days of touring and a few runs of the Vallée Blanche. The day we got this photo on the Envers variation of the VB it had just snowed heavily and we were up to our waists in the good stuff. In early spring I arrived back from Scotland and had a lot of skiing to catch up on. 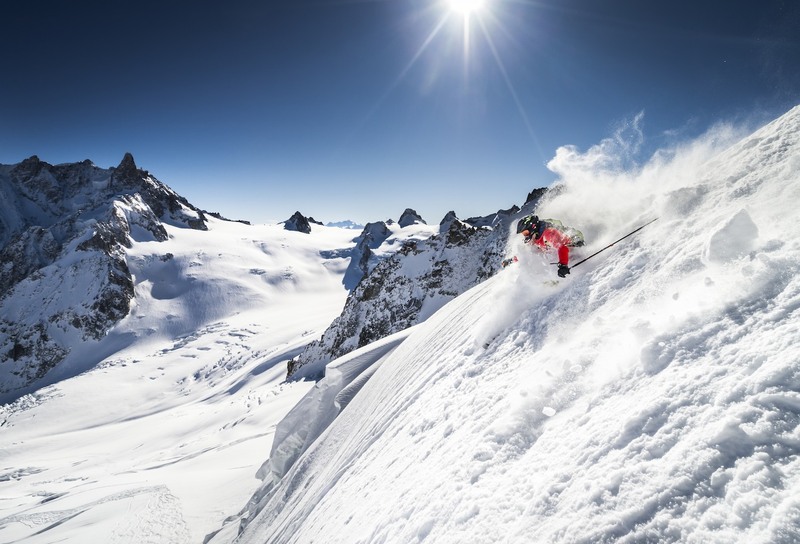 We got the first midi lift, down the VB up the Leschaux glacier and climbed the couloir. We then waited an hour or so at the summit before the snow softened for the descent. In the top right corner of the image you can make out the base of the Grandes Jorasses north face. As the full spring growth got underway I went for a few days hiking with my father in the hills around Sixt-Fer-a-Cheval. 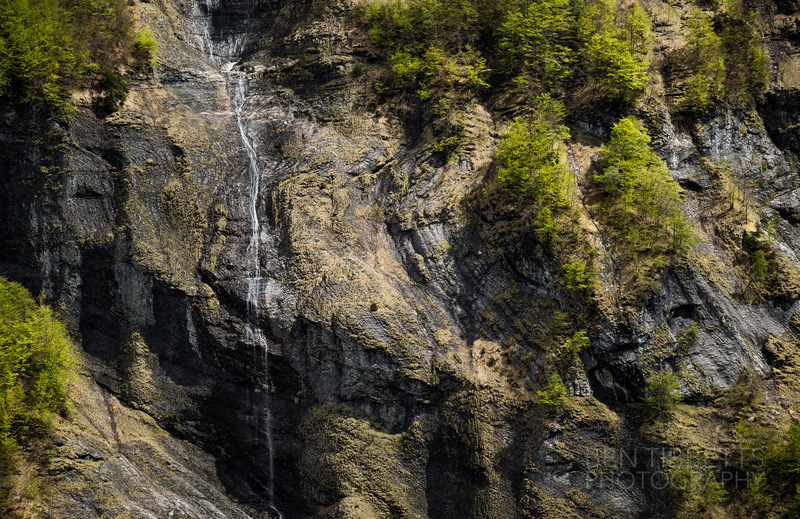 This waterfall trickles down a long series of cliffs laced with broad leaved trees clinging to crevices in the limestone. 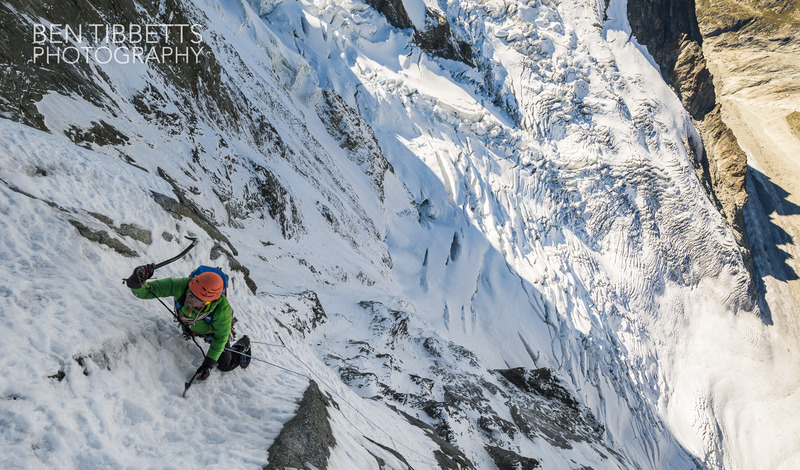 In mid May Valentine and I headed up to climb the Y-couloir of the Aiguille Verte. Though very dry and quite steep for the first four pitches the rest of the route was sustained snow couloir. Nevetheless for the much of the time we were climbing there was unexpectedly masses of snow pouring down the couloir. 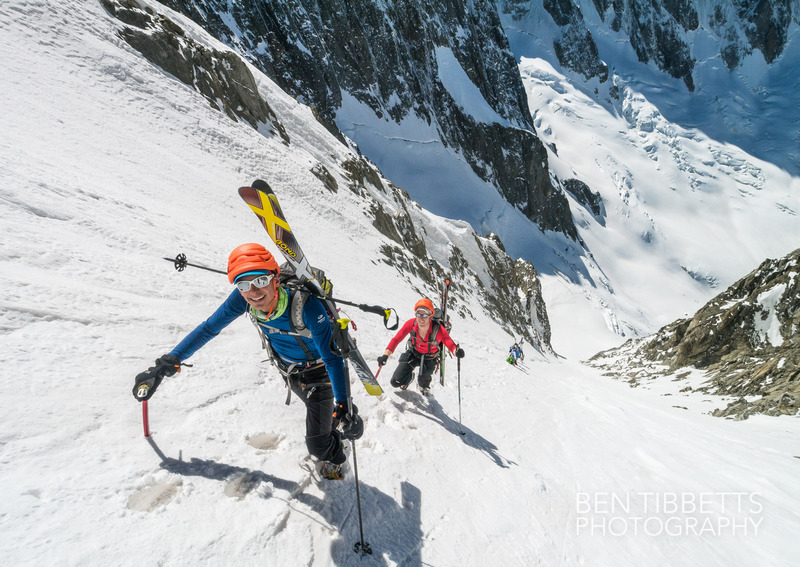 It turned out to be Jesper, Ben and Mikko skiing the same couloir from the summit…! 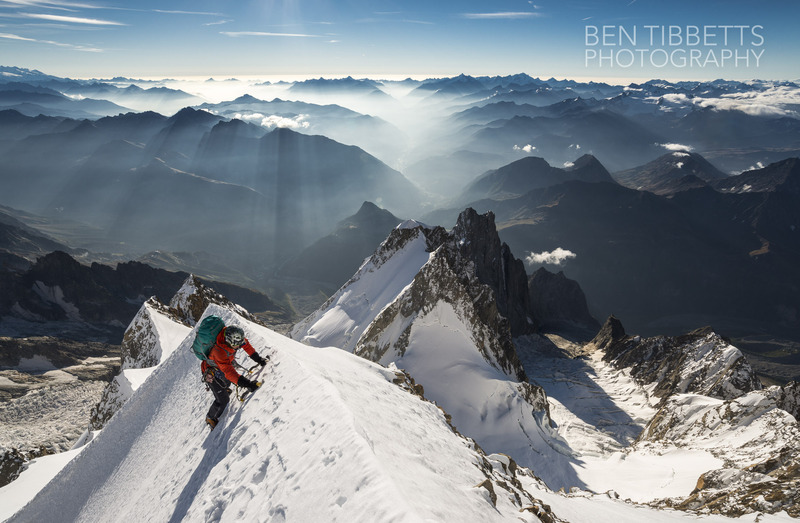 Despite stacks of guiding weeks in Switzerland it just so happened that most of the Mont Blanc work I had took advantage of the slim good weather windows. 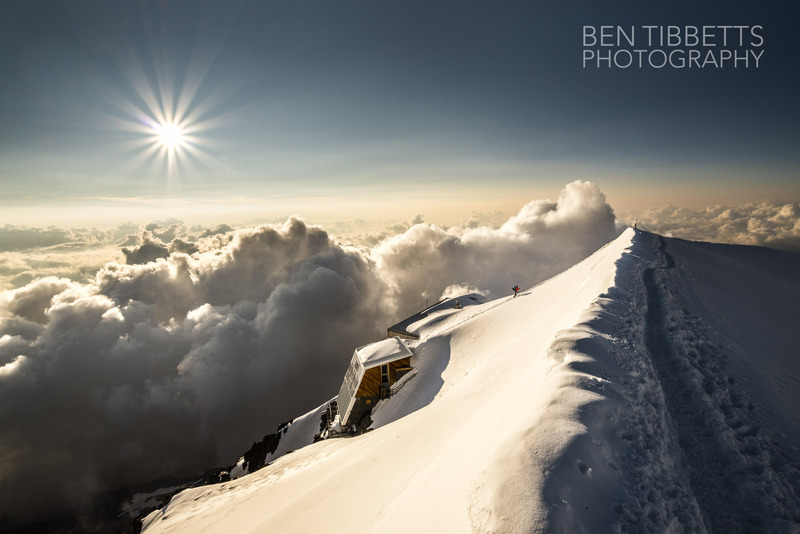 Here an alpinist is heading past the old Gouter refuge at the end of the day. 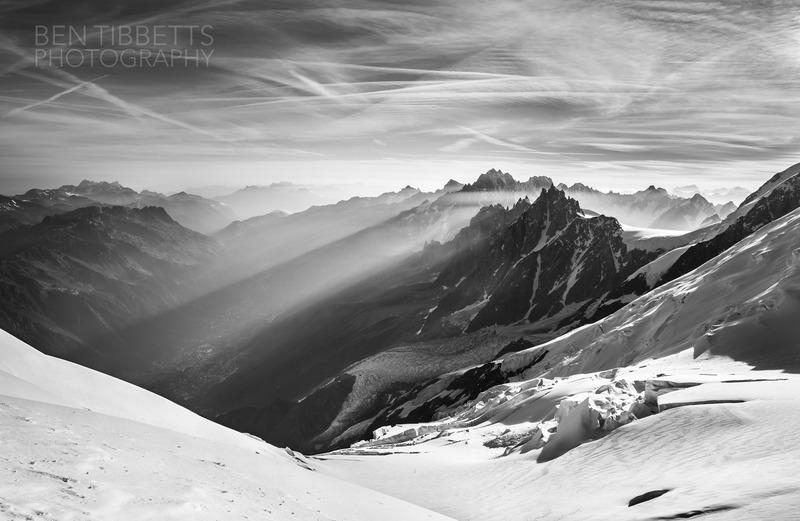 On another trip we were already descending Mont Blanc by early in the morning and caught this view towards the Aiguille du Midi as the rising sun cut through the morning haze. Towards the end of the summer season I headed over to the Bernese Oberland with Victor Saunders, Wim and Jan for a weeks climbing. 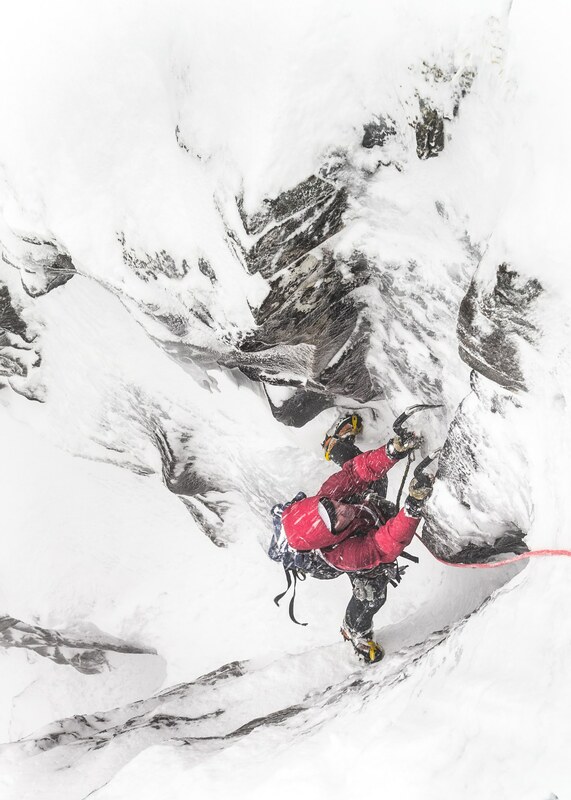 One of the moments I’m sure none of us will forget was when, on the descent from the Fiescherhorn, Victor plunged into a crevasse that turned out to be full of meltwater. As a rope of 4 we pulled him out in under a minute but we were at just under 4000m and he was saturated up to his chest. This photo was on the day before on the Jungfrau which affords great views to the south down the enormous Aletsch glacier. Having rained and snowed all summer the big north faces in the Mont Blanc massif were in great condition come Autumn. Informed by blogs and social media climbers soon swarmed from all over Europe and beyond to climb these legendary face routes. The guardian of the Leschaux refuge at the base of the Jorasses was posting photos every few days on Facebook, and by early September the refuge was overwhelmed at each good weather window. Traffic started to reached fever pitch on the classic routes. On Friday 12th September nearly 100 people were climbing on the north face of the Grandes Jorasses. The Colton MacIntyre alone had 30 climbers on it that day. This continued for much of September with several long periods of stable high pressure weather. I asked Nick Colton, who with Alex MacIntyre first climbed the route in 1976, what he though of it all: “I think it’s great. Lots of people doing lots of high standard routes! It’s amazing for me to see the Colton-MacIntyre become popular after all these years too, showing that standards continue to rise”. The next week in early October Valentine and I went to climb the north face of the Grand Pilier d’Angle. Conditions were excellent, but having started early from the Forche bivouac we lost a lot of time at the base of the face trying to find the Cecchinel Nomine start in the dark… in the end we went directly into the Boivin route but wasted a lot of time lost in some mixed ground! We arrived late at the GPA summit which is still 600m from the exit of the route via Mont Blanc. We dug out a miserable bivi ledge and slept fitfully. 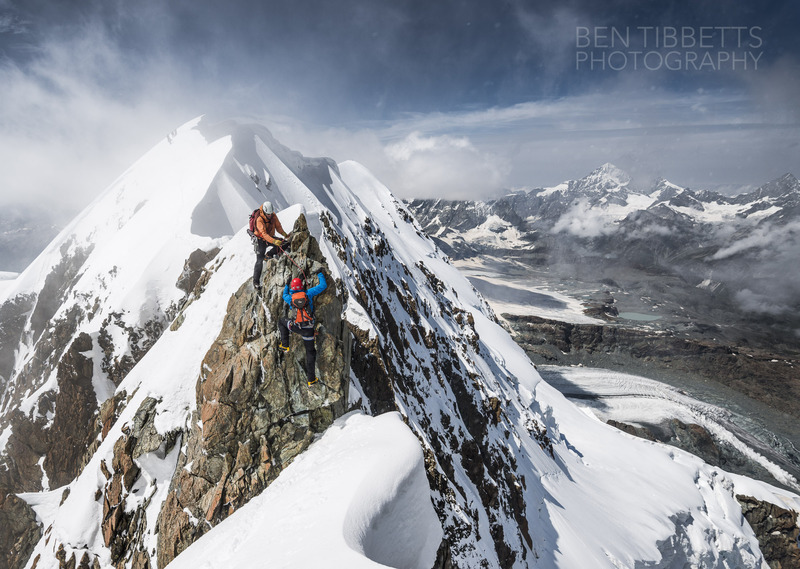 The reward however came with photos we were able to take early the next morning on the final summit ridge with the Aosta valley laid out behind us. At the tail end of the autumn Valentine and I headed to the southern Mercantour Alps above Nice for a weeks climbing, hiking and cycling. As we arrived from Vallée des Merveilles towards the Refuge de Nice in the late afternoon I noticed the potential for this photo. We waited for nightfall at the Refuge de Nice. Under a clear sky the Milky Way spread out above us. The breeze eventually calmed on the lake below and the image fell into place. December 2014 was unusually warm and windy, making early season skiing a bit tricky. Nevertheless we got out quite a lot though with varied success. 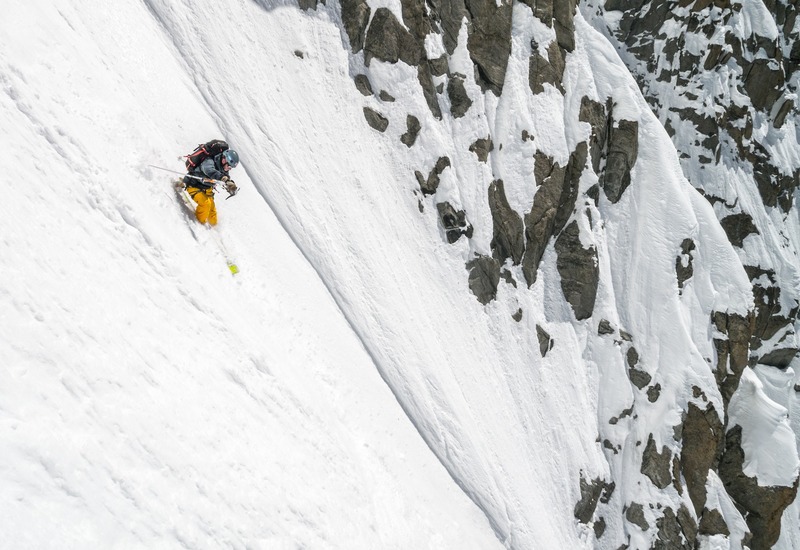 This day however the Gervasutti couloir was a delight and Killian Jornet was running up and down skiing laps of it. 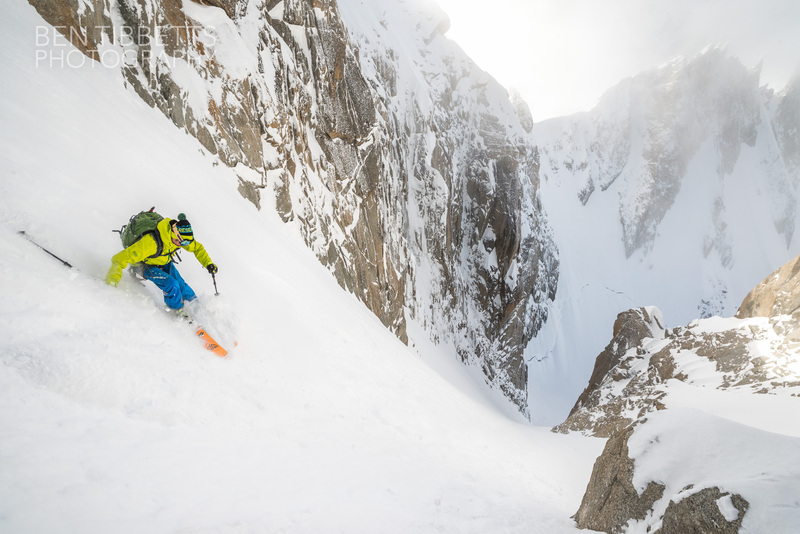 Two weeks later, just before Christmas, I was out again with Ben Briggs for another two days trying to shoot some couloir skiing. 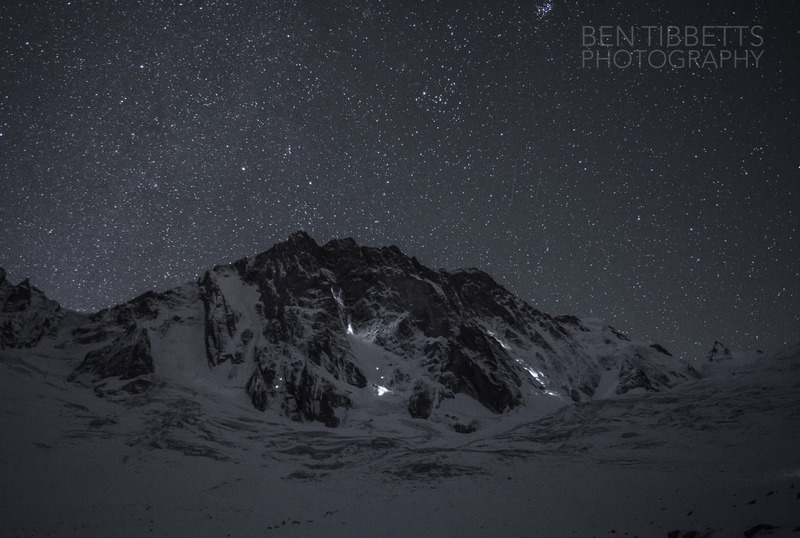 Despite very difficult conditions we finally found some excellent snow in the South East couloir of the Aiguille du Chardonnet and got some exciting images… however they are under wraps until the client has published them. Watch this space. Here’s hoping we all have an exiting and fulfilling 2015! Great. Hopefully 2015 will also be packed by good trips and adventures like these. Bonne chance. 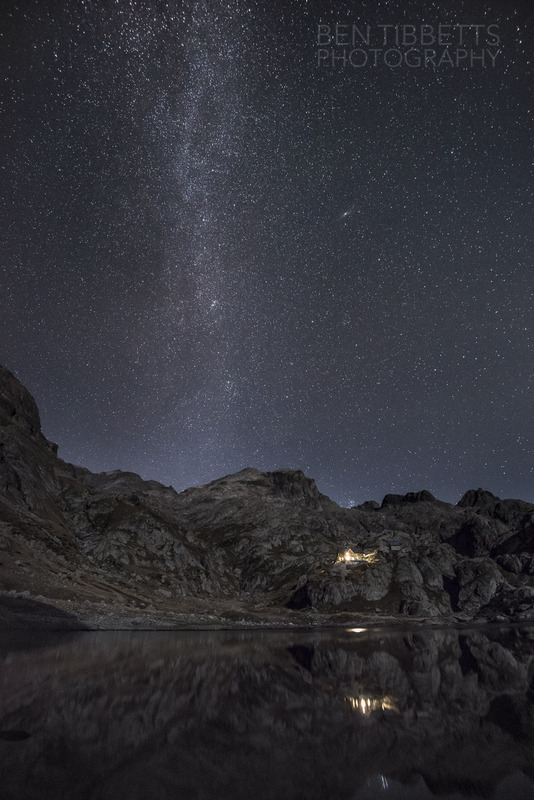 Fabulous photos and a great insight into a year of a mountain man. Bon journee!